Living Statues will enthrall and amaze with visually stunning tableaux and movement. Created by mime artist and entertainer Fergus Aitken, these unique Living Statues will enthrall and amaze with visually stunning tableaux and movement. The characters are white plaster corporate drones, with suits, hats, and brief cases, suspended in stillness or drifting in slow motion throughout the venue. 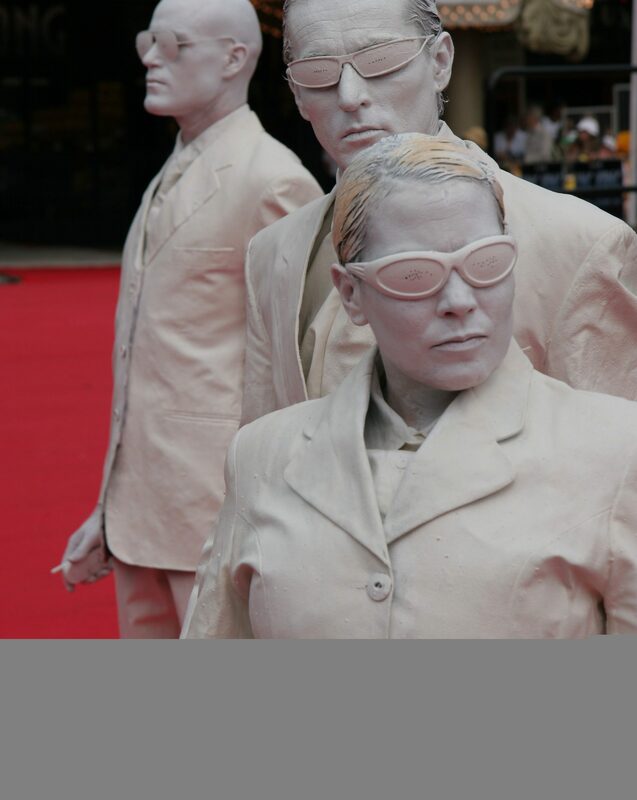 Available as a solo, duo or up to 5 characters (2 men, 3 women) these “Living Statues” characters premiered at the 2005 Rotorua Arts Festival and have since appeared at dance parties in Auckland, corporate functions and private events in Wellington and Canterbury. “Living Statues” white Plaster corporate dones, drifting in slow motion.